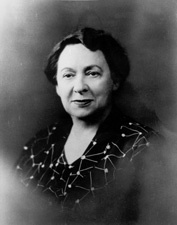 ABEL, Hazel Hempel, a Senator from Nebraska; born in Plattsmouth, Cass County, Nebr., July 10, 1888; attended the public schools of Omaha, Nebr., graduated from the University of Nebraska at Lincoln in 1908; high school teacher of mathematics and principal of high schools in Papillion, Ashland, and Crete, Nebr. 1908-1916; president of Abel Construction Co. 1937-1952; chairwoman of the board of directors of Abel Investment Co., Lincoln, Nebr. 1952-1953; vice chairwoman of State Republican Central Committee in 1954; elected on November 2, 1954, as a Republican to the United States Senate to fill the vacancy in the term ending January 3, 1955, caused by the death of Dwight Griswold, and served from November 8, 1954, until her resignation December 31, 1954; delegate to White House Conference on Education in 1955; chairwoman of Nebraska delegation to the Republican National Convention in 1956; member of the Theodore Roosevelt Centennial Commission 1955-1959; chairwoman, board of trustees, Doane College; member, board of trustees of Nebraska Wesleyan College; died in Lincoln, Nebr., on July 30, 1966; interment in Wyuka Cemetery. Hazel Hempel Abel, in Women in Congress, 1917-2006. Prepared under the direction of the Committee on House Administration by the Office of History & Preservation, U.S. House of Representatives. Washington, D.C.: Government Printing Office, 2006.